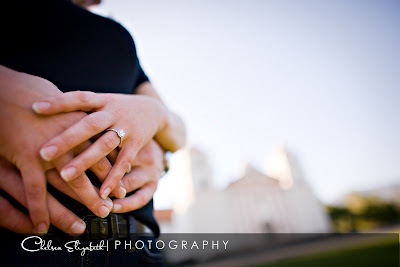 Alisa and Kelly had their engagement photography session in Santa Barbara, one of my favorite places to shoot! Santa Barbara is just one of the most beautiful places ever. Combine that with two adorable people and you have some really cute engagement pictures! We started out at the Santa Barbara Mission and then worked our way down state street to the beach. Alisa and Kelly are such a fun couple. They danced on the train tracks and played a little soccer. My favorite was the picnic lunch with some vino :) Of course they shared! I can’t wait to shoot their wedding in September!